VAREHA Nikolay, Doctor EMC. Make an appointment, ask a question. 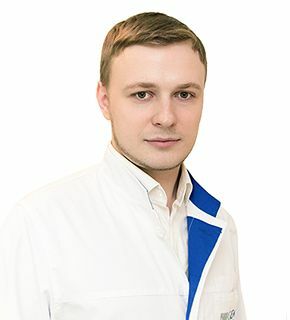 Graduated from Pridnestrovian State University, achieved specialty of Basic medicine in 2011. Completed clinical residency on specialty General Medicine in 2012, as well as clinical residency on specialty Cardiology in 2014, both at the base of Peoples' Friendship University of Russia, where also achieved a candidate's degree on specialty Internal medicine in 2017. Author of several articles in journals included in the list of the Higher Attestation Commission, author of clinical recommendations for medical specialists.